Passionate about making a difference in people’s lives, as an executive leader for 35 years in the financial services industry, I took early retirement to form my own company, Carlan Consulting, LLC in 2007. 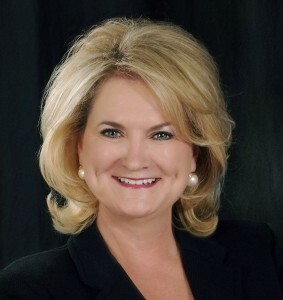 At the time, I was serving as the first female regional bank president in the Florida Panhandle. I am a Certified Professional Behavioral Analyst and Certified Professional Values Analyst with a PHD in results. A force multiplier, I partner with numerous corporations and individuals to provide you with cutting edge assessment tools and training. Sharing the stage with my friend, mentor and coach, Paul Martinelli, it was my partnership as a Certified LifeSuccess Coach with Paul, which led to my affiliation with the John Maxwell team. My deep love and caring for people is reflected in my motto: “Be the difference” in the lives of others by adding value every day. My leadership work “from the heart” includes guiding more than 25 not- for-profit groups and corporations to grow their mission. I was a founding member of the nationally recognized Pace Center for Girls located in Pensacola, Florida. Being honored as Woman Business Leader of the Year by the Pensacola News Journal, and recognized as one of the Panhandle’s Top Five Most Powerful Women by the St Petersburg Times give testament to my expertise in driving high performance results for you. John’s materials have made a difference in my life and millions of others; now let me lead you on how they can “be the difference” in your life and the lives of those for whom you want to add value.